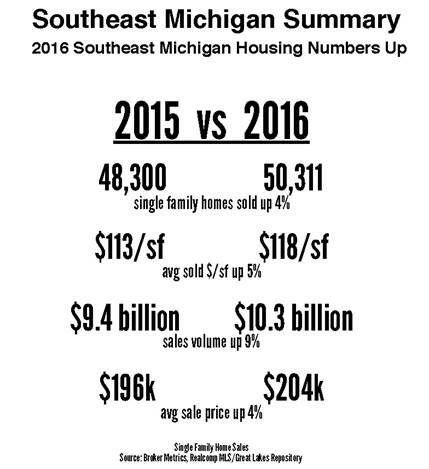 With over 17 thousand single family homes sold at an average price of $275k, Oakland County led with $4.8 billion in 2016 sales volume as reported through local multi list systems. 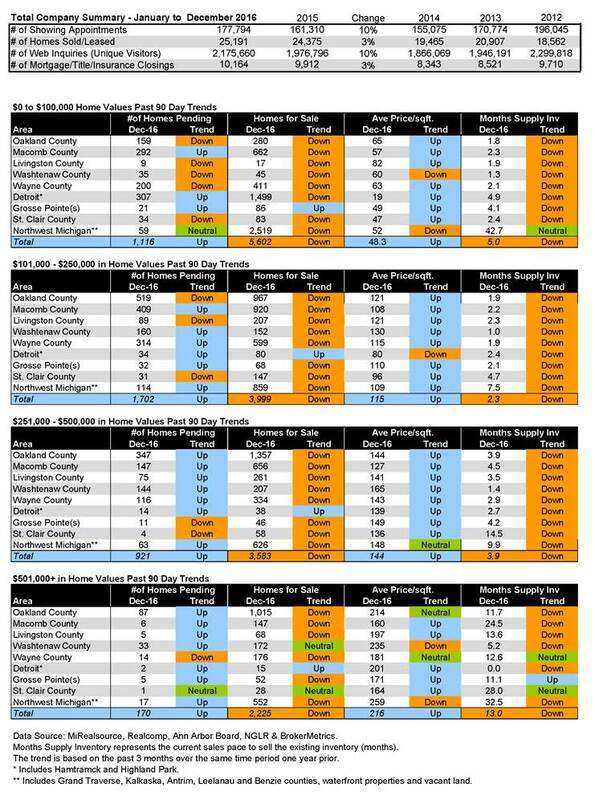 While more homes were sold in Wayne County, its dollar volume tallied $2.6 billion. Macomb County came in third with $2.1 billion in sales. While some would like to see values rise a little faster, the more conservative growth we have seen over the past several years provides market stability. 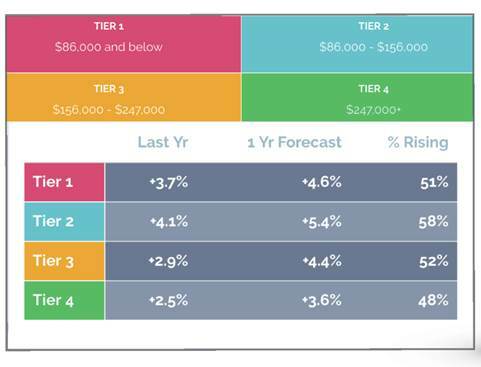 In the Tri-County (Oakland, Wayne and Macomb) areas, appreciation rates have generally been flat for the luxury home markets compared to middle and lower price segments. green and bright red in 2013.
models are predicting appreciation rates of between 3.6% and 5.4%. predicted to see lower rates of appreciation. 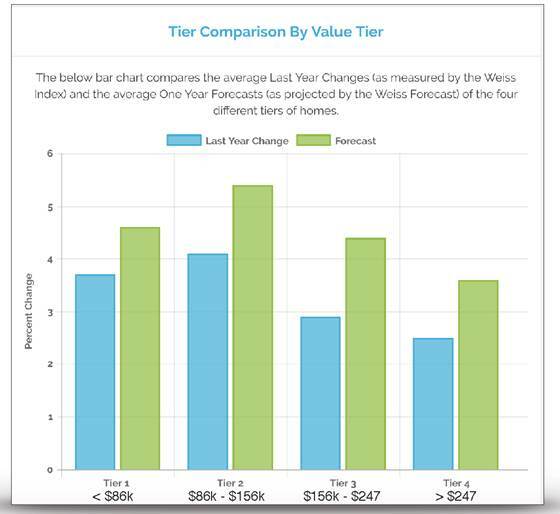 growth or even declining values for most homes priced above $500k.